Does anyone ever think of publishing posts on their Blogger blog remotely by Email? Commonly people are so busy because of their tough agendas that, they can't have any time to login for their Blogger account to create a new post and publish on their blog. By posting posts through Emails you possibly can communicate using your readers on the run. This shows that you don’t need to sign into your blogger dashboard in order to update your site at just about all. In that tutorial, I am about to show you tips on how to publish posts on your blogger blog directly through your email. 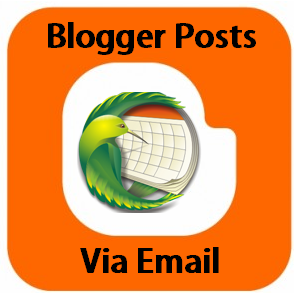 How to Enable Email Posting In Blogger? Before starting the tutorial, I would like to remind you that you must have account on a good email provider that enables you to decorate your post styling. Now here we will do all the setup. Below, I've given two different tutorials. First one is one Mobile posting and second one about Email posting. 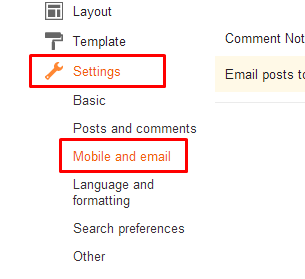 In the same location [Blogger >> Settings >> Mobile and Email] there will be email section below Mobile section and it will look like below. Here you've to create the secret blogger email address where you will send the posts made in email. In the field "secretWords" fill any secret code which should be between 4 to 20. After that the email will look like "cateringbaby.secretWords@blogger.com" or "cateringbaby.12345@blogger.com". There are some check points below that which you can choose which action blogger should do when it get any email. After all, click on "Save Settings" button at top right side corner. Now to post via email, just send prepare the post in Email and sent it to the secret blogger email address which you've made above. Once again look at the example. [cateringbaby.12345@blogger.com]. So that's the tutorial to publish post on your blogger blog directly from your email while you have no time to open blogger account. Now It's your turn to share this post with your friends and write your feedback about this post in comments till then Happy Posting.